Give us a try. You’re welcome to join us on any of our walks to see if the Ramblers are for you. Then, once you’ve experienced the views, fun and exhilaration, it’s just a case of becoming a member. Our group helps local people enjoy walking - a great way to get outside, make new friends and discover how walking boosts your health and happiness. 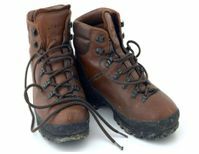 Throughout the year, Sedgemoor Ramblers arrange walks of 8 - 12 miles every Sunday. There are shorter, easier walks of approximately 5 miles on a Saturday, ideal for new walkers. During the Spring and Summer, short evening walks are arranged on a Tuesday or Thursday, often with an optional pub meal at the end. Walks take place in the Sedgemoor area including the Quantocks and Somerset Levels, or neighbouring areas such as the Mendips and Exmoor. If you would like to 'try us out', we would love to hear from you. For more details please visit our programme page, email us on publicitysedgemoorramblers@gmail.com or speak to a human; Tina 01278 783560 or Ed 01278 651094, who will be happy to send you a programme and answer any queries. Join the Ramblers and become a member of Sedgemoor Group.